The phrase “cat burglar” describes someone stealthy enough to pull off thefts by sneaking into risky spots without being detected - someone who moves as smoothly and quietly as a cat, in other words. Actually looking like a cat never really enters into it, but that hasn’t stopped a slew of cat-themed thieves from working their way into pop culture. It seems like every top-drawer superhero has a feline arch-enemy out there somewhere. It makes a decent amount of sense. Whether or not you’re a cat person, you have to admit that cats are pretty slippery characters. Why not cast them as sneak thieves? 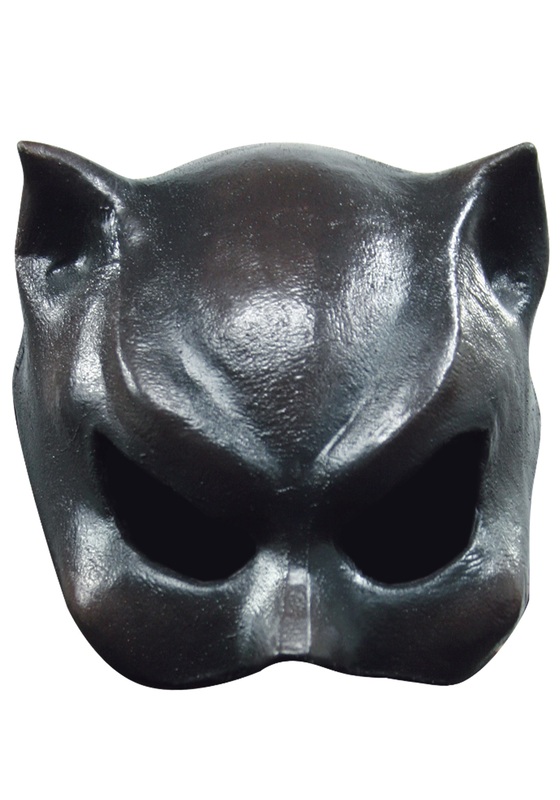 If you’re looking to capture some of that feline super-villainy, or if you’re just a big fan of cats, you’ll be a sleek, sneaky hit in this rubber latex mask. It’s molded in slightly spooky cat-face fashion, with a pair of pointed ears and wide eyes for easy viewing. Whether you’re pairing it with a leather jumpsuit, a kittycat costume, or wearing it solo for a masquerade effect, you’ll have enough cat-like charm to rule any room. We wouldn’t recommend pulling off any burglaries, though. Some things are best left to the professionals.